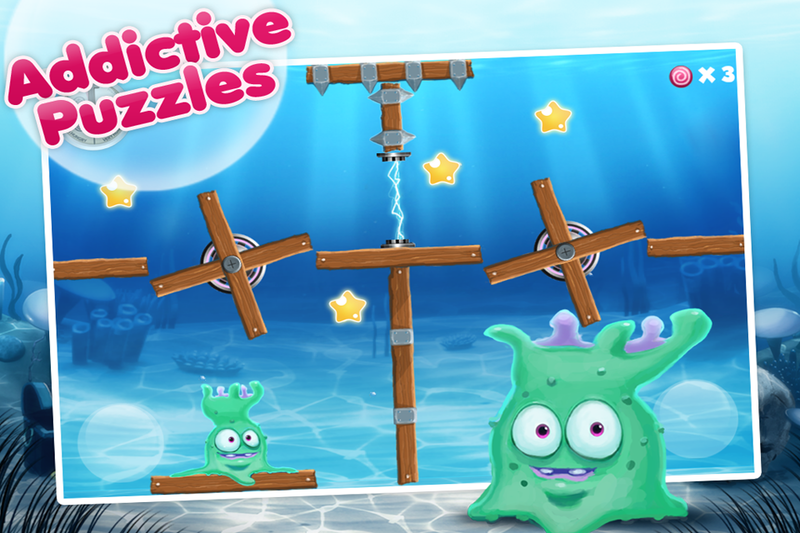 Alien Fishtank Frenzy is a highly addictive Puzzle game that tickles your brain and reflexes & will challenge your multitasking skills! The current controls are easy to use but take some practice to master. The added challenge of collecting stars brings another level of complexity to every level. All in all, the entire Alien Fishtank Frenzy iPhone app makes extremely good use of screen space. 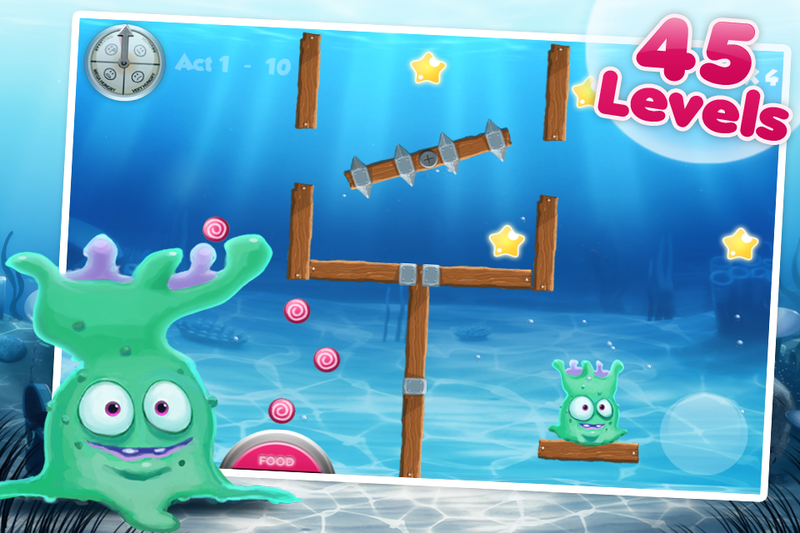 You can download and play the first 45 levels of Alien Fishtank Frenzy without spending a cent. That’s right, 45 levels of fun for nada. Alien Fishtank Frenzy iPhone app has me hooked. 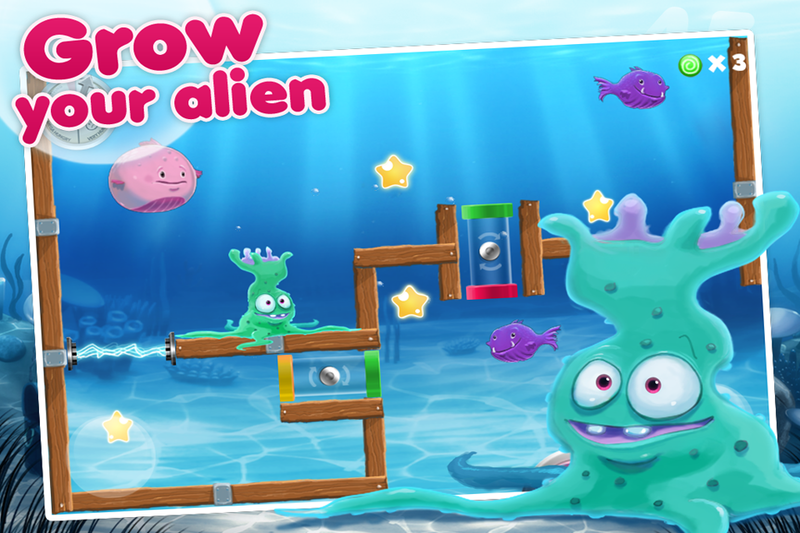 Alien Fishtank Frenzy is a fresh, innovative game which is guaranteed to provide hours of fun. All in all, this game is very addictive and has earned a place much higher up in our estimations than we originally thought it would. Congratulations to the developers! A sunny day when young George is out walking he finds a strange creature in a puddle. He is clueless what type of species it is, but he decides to bring it back home to put in his fish tank together with the rest of his fishes. At first this new creature is acting like most of his other fishes, swimming and playing in the aquarium. But George soon realizes that the new fish is acting like an alien, with his uncontrollable apetite. Your mission in this game is to help young George feed this alien. The more food you can give him the more he can grow, and the happier he will become. Compete against your friends, and the best in world, through Game Center.